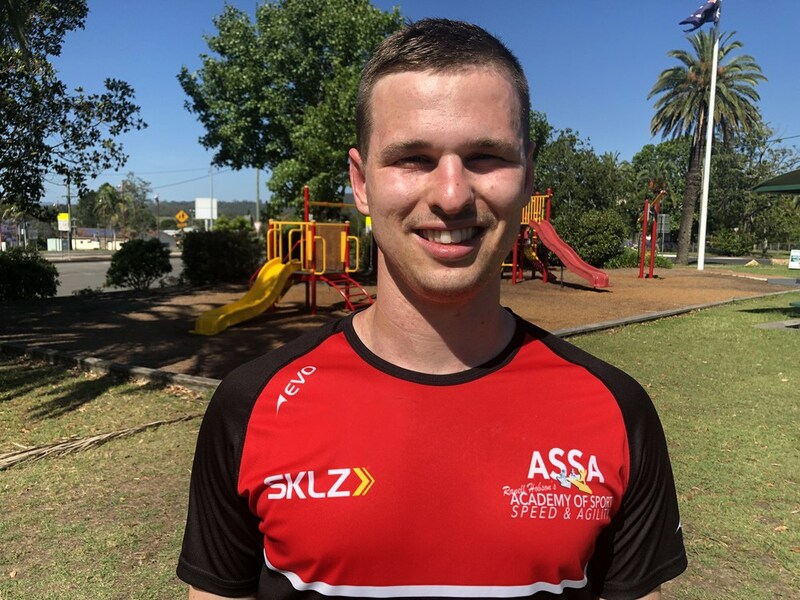 Podcast excerpt (0.48) : "Our kids don't play enough anymore... movement issues in our developing youth"
Keep up with the latest events, classes, workshops, and news from the Academy of Sport Speed and Agility. 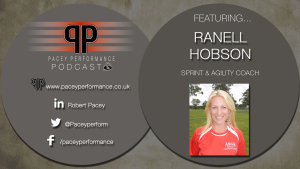 Ranell was recently interviewed by the PaceyPerformance Podcast UK, a service for knowledge sharing by elite coaches from all over the world. Click below to be taken to the website and listen to her sharing coaching hints, tips and tricks for speed and COD excellence. 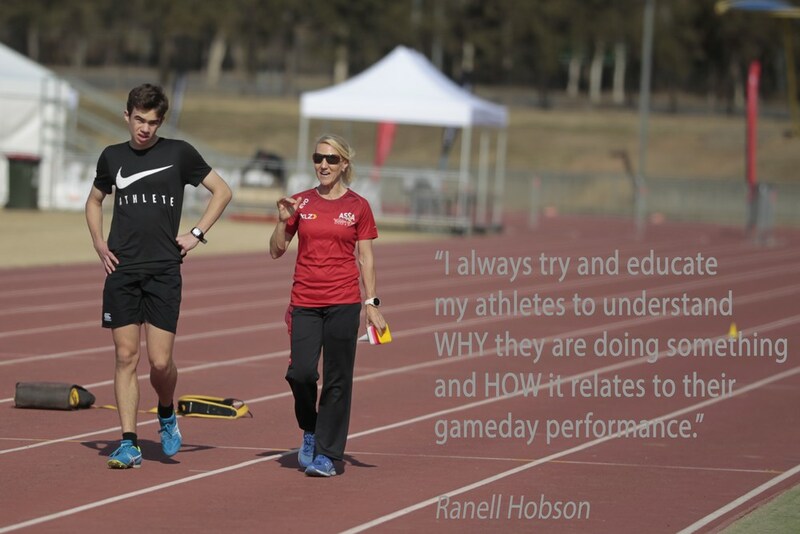 Ranell Hobson has over 20 years experience coaching athletes, building overall athleticism and explosive sport speed. She is also currently training and competing at the highest international level for sprints. As such, she is in the unique position of not only knowing what she is talking about, but also actively pursuing excellence in speed on the worldwide stage for herself. THERE IS A REAL DIFFERENCE BETWEEN SPEED TRAINING FOR TRACK ATHLETES AND SPORTS TEAMS PLAYERS, Ranell has researched this thoroughly to ensure her programs are specifically suited to the athlete’s needs for their chosen sport. 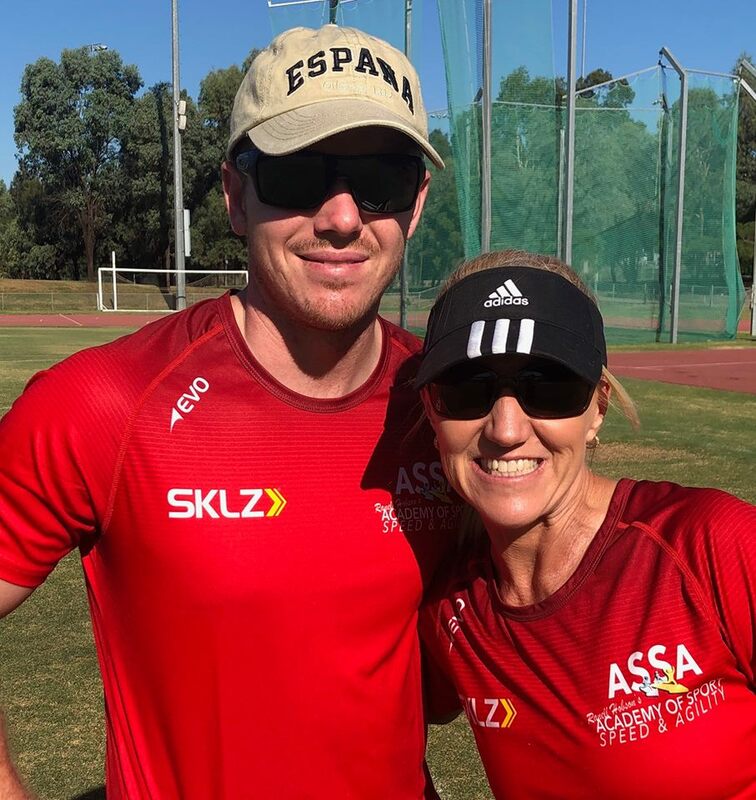 The ASSA Sport Speed System of programs that she has created, focus on movement competency and force transfer for explosive speed, they create strength and on-field explosive power. Every athlete gets faster following Ranell's programs. 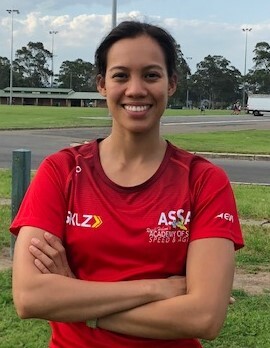 Ranell completed her Masters in Sports Coaching at UQ (University of Queensland) with a GPA of 6.5. 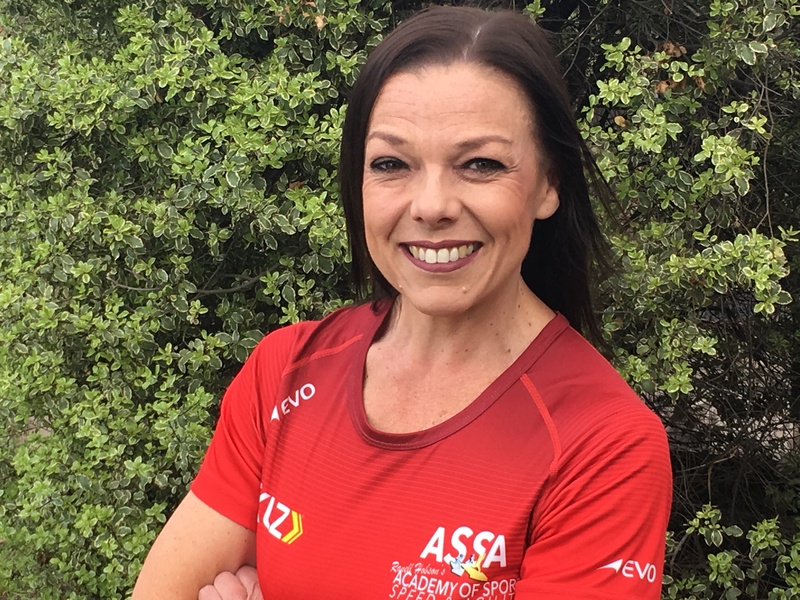 Alongside this is her degree is Sport Science and Coaching and a myriad of other qualifications including: CSCS (Certified Strength and Conditioning Specialist), ASCA L2 (Australian Strength & Conditioning Association) & ATFCA L3 (Australian Track and Field Coaches Association) qualifications. Ranell is also an award winning teacher and presenter. Ranell has presented workshops and courses all over the world, most notably at youth academies of EPL clubs Arsenal, Crystal Palace, Leicester, Southampton, Brighton & Hove Albion and Wigan Athletic. 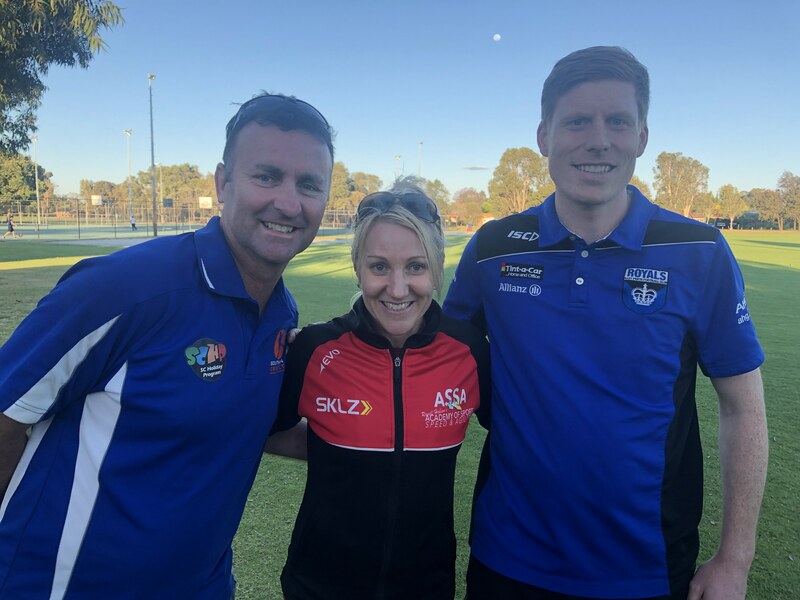 She has also consulted to Australian teams in the NRL, AFL and A-League competitions as well as preparing numerous individual players for overseas contracts or trials. 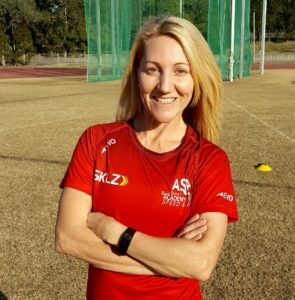 She also works with Little Athletics clubs and regional sports as well as non-professional athletes. In short she is a greatly respected and in huge demand at all levels of field and court based sports all over the world. It is not the level of the player she is working with that matters, but rather the level she can get them to. Ranell brings to her workshops and courses an environment that facilitates discussion and coach interaction, where evidence-based coaching is paramount and participation is encouraged. Ranell coaches select individuals ($150/hr) and teams ($250/hr) these sessions are held at Blacktown International Sports Park and Homebush. Team coaching can be held on-site at the Clubs facility if required. 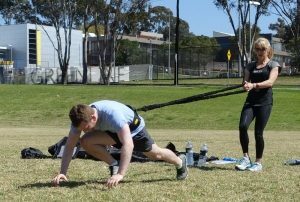 These can be organised via kip@academyofsportspeed.com or by calling Kip on 0414 706 482 with your enquiry. 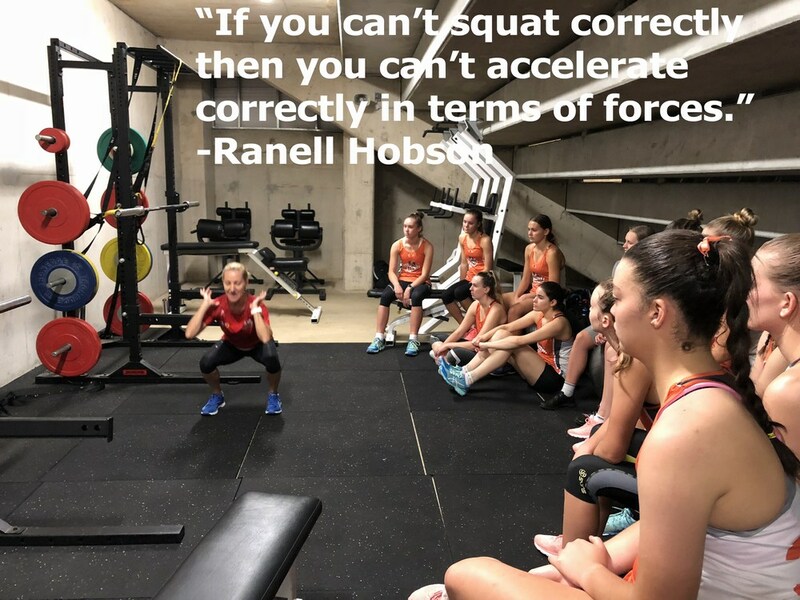 Ranell is also able to assess your current speed and changeof direction mechanics in a group setting (4 people maximum at $75 each attendee) or a solo session ($150). These sessions are usually held at Blacktown International Sportspark and can be arranged via kip@academyofsportspeed.com depending on her availability. Click on the Coaches Pictures below to view their Coaching Locations and CVs. Training Areas : Sydney Olympic Park Athletics Centre, Homebush. 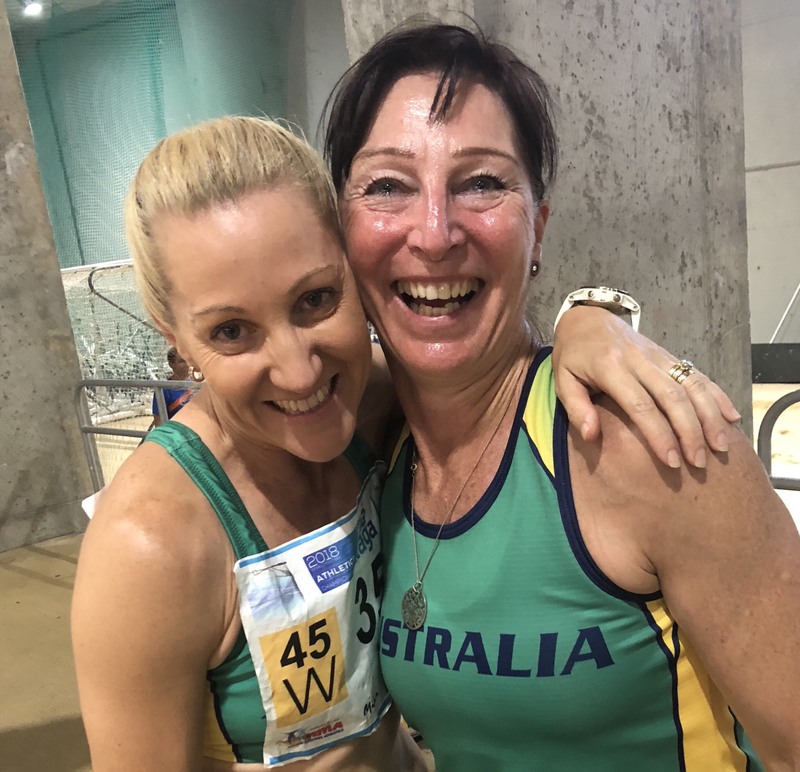 Click WMAC Robyns Lyon 2015 Newsletter for access to a newsletter featuring Robyn’s staggering success at the 2015 World Masters Indoor Championships in winning a Bronze medal for Australia ! Training Areas : The Hills areas and Blacktown International Sportspark (Athletics Track). Training Areas : Camden (Mondays), Penrith (Wednesdays and Saturdays), West Hoxton (Fridays). * Sydney Swans NEAFL – 3 seasons, Southport, QLD – 1 season. * Sydney AFL representative side in 2015 against the Canberra AFL rep side. 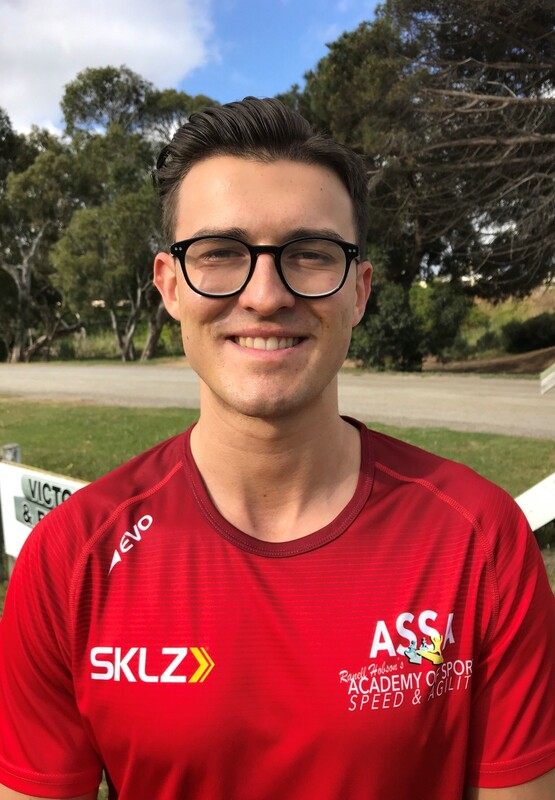 * Previously as Sydney Swans Academy coaching staff 2012-’14 before joining ASSA. Training Area : Blacktown International Sportspark. * Masters in Exercise Science (Strength and Conditioning). * Conditioning Coach - Penrith Panthers U20, Cronulla Sharks, ARU Western Force Academy. 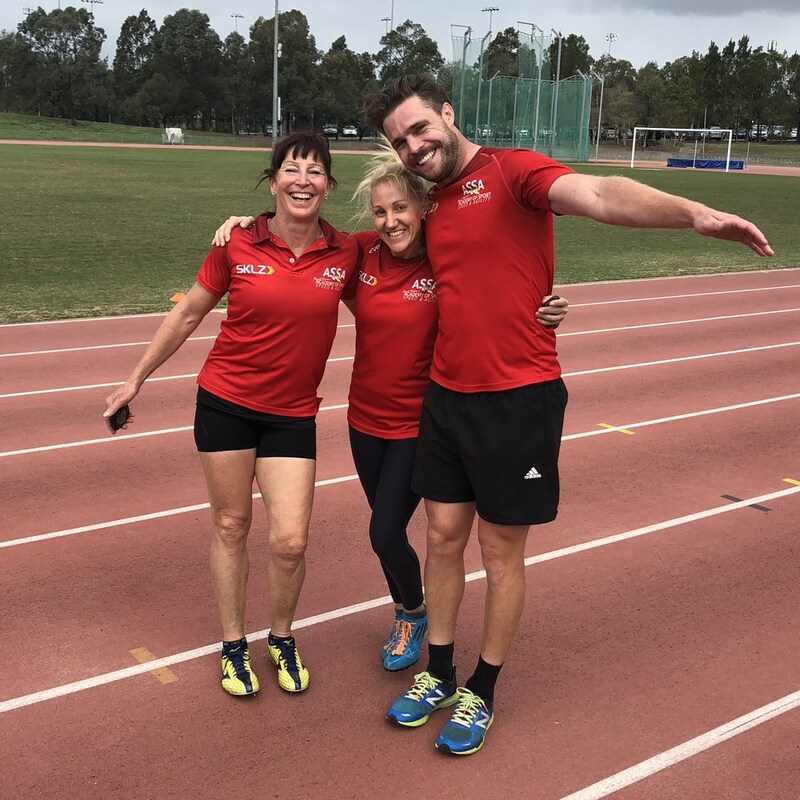 Training Area : Glendale Athletics Centre, Newcastle, Boronia Park, Forster. * AFL player for Newcastle City Blues in AFL Hunter Coast competition. 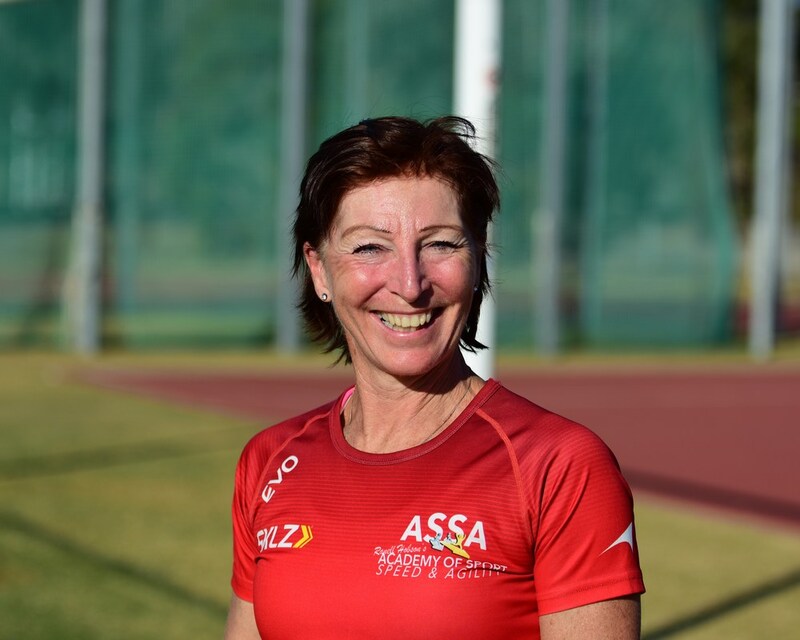 * Australian Track and Field Coaches Association Level 1 Accredited Coach. Training Area : Blacktown International Sportspark, Rooty Hill and Sydney Olympic Park, Homebush. 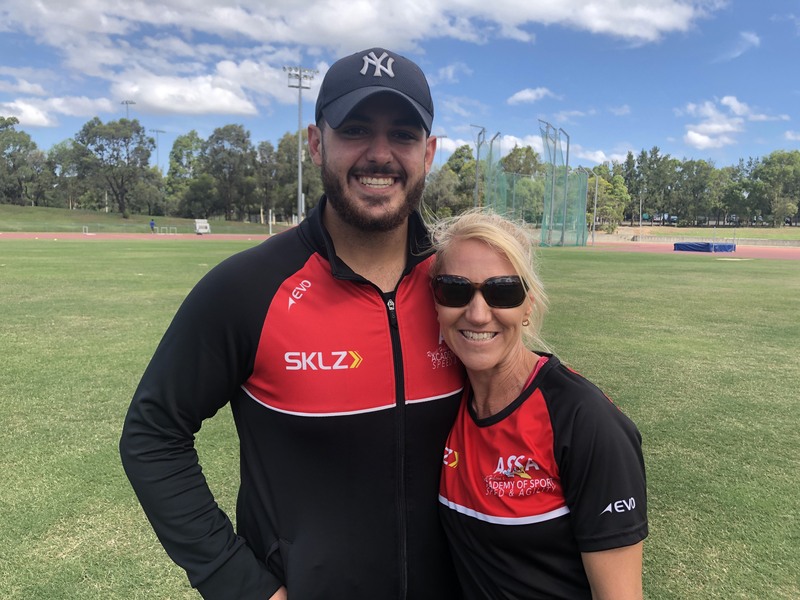 Hussain has already been assisting Ranell with the GWS Fury Pathways team and has been doing outstanding work with them. 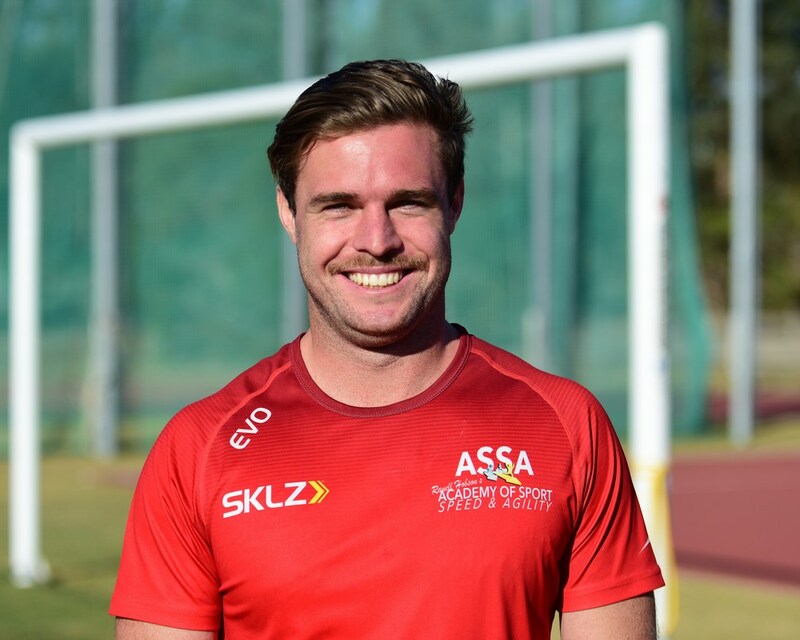 He is one of our busiest coaches and continues to be in high demand due to his excellent work ethic and results he is getting with his athletes. Training Area : Adelaide, South Australia. 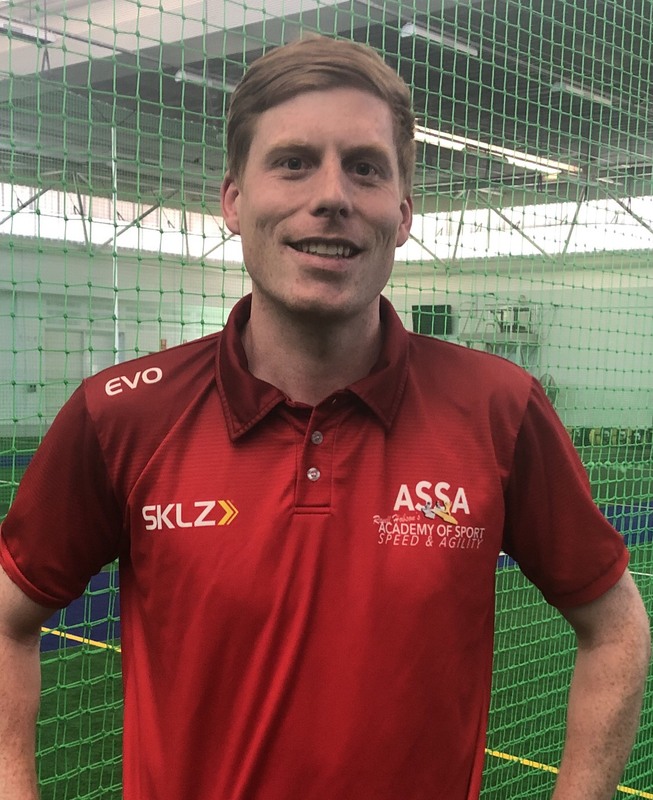 * Fitness Trainer for the Australian Kookaburras LaCrosse team’s USA tour. * Premier League and State Basketball playing experience. 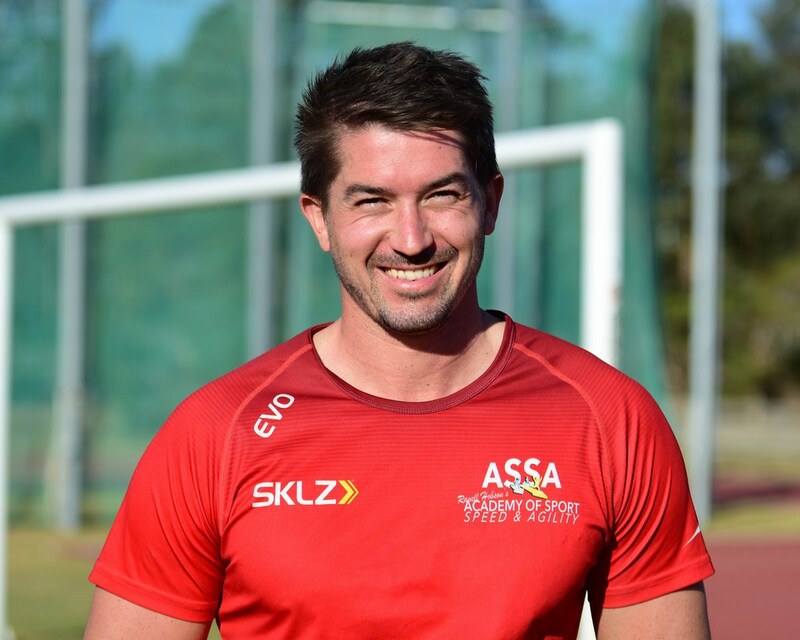 Fresh from the UK where Jay was lastly Head of Academy S & C at Southend United FC, he is quickly getting used to the warmer weather here and is already working with future sporting superstars within the ASSA training system at Ellis park in the CBD. 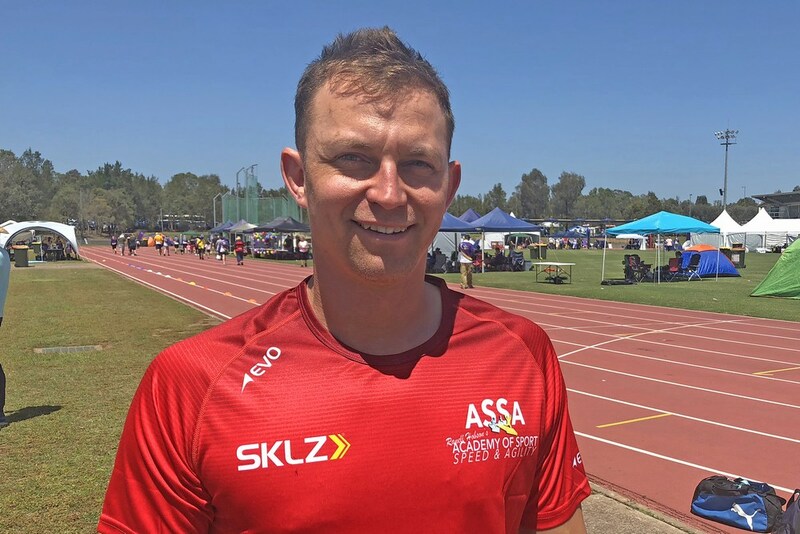 With a MSc in Sport Science and BSc First Class with Honors in Sport and Exercise Science from The University of Essex, he also has an excellent coaching history to complement his academic prowess. 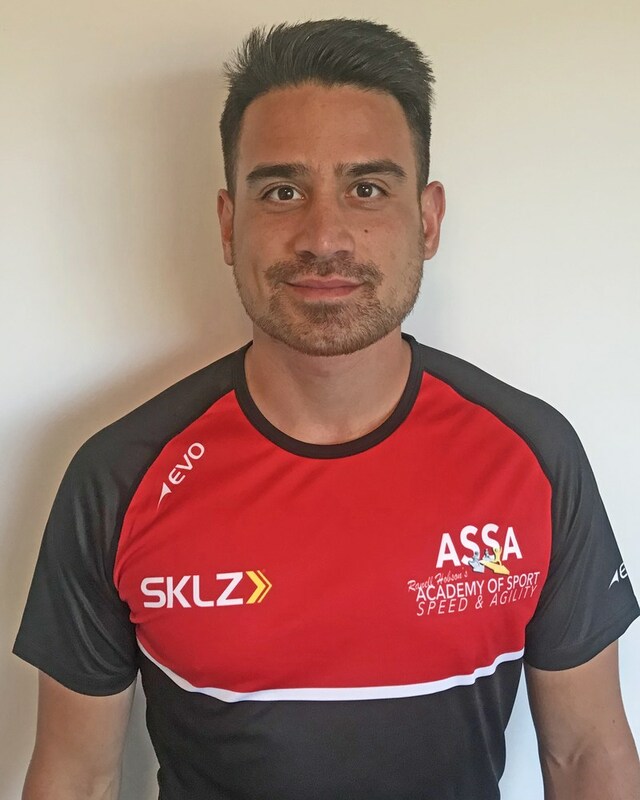 His coaching availabilities with ASSA are filling up quickly so if you are looking to improve your first step explosive speed, mobility and athleticism then call Deb in the office on (02) 8310 9946 without delay. Training Area : Southern Cricket Facility, Leeming, Perth, Western Australia. Books for Reference or Reading. Click here for the link to Amazon to purchase. This richly illustrated work presents innovative training concepts based on recent scientific research and extensive knowledge of the real-world training. It provides running trainers, physiotherapists and physical exercise teachers with the latest insights into the training runners. The methods presented here are based on biomechanical principles. 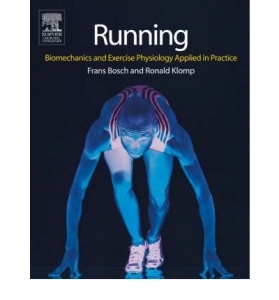 Scientific material is translated into practical techniques in the discussion of topics such as running technique, energy supply processes and adaptation through training. •Unique approach to the material makes this book an excellent resource for a beginner’s introduction or an advanced trainer’s review. •Coverage features the most up-to-date information available. •Logical organization of information makes the text easy to use. 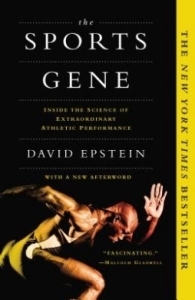 The New York Times bestseller – with a new afterword about early specialization in youth sports. Speed is integral to the successful performance of individuals and teams in most sports. Knowledge of the ways in which high-performance athletes train to develop this quality is highly sought after. Strength Training for Speed is a one-stop resource for coaches and athletes looking to enhance sprinting speed through effective strength training methods. 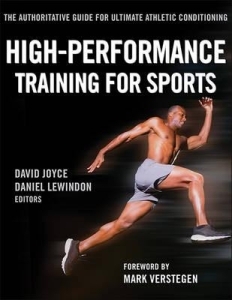 The latest scientific research is used to underpin training solutions presented within this book, which includes strength programmes followed by full international-level athletes. The scope of applicable content will be of particular interest to coaches, athletes and students. Boasting a library of over 100 exercises and a series of example periodised plans, readers will learn how to devise effective strength training programmes for any athlete – from the recreational to elite performer. 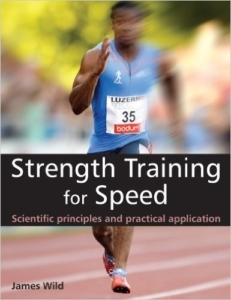 Strength Training for Speed covers: Fundamental anatomy and physiology of sprinting; how to elicit the key physiological adaptations necessary for improving strength, power, and ultimately speed; biomechanics of sprinting during the acceleration and maximum velocity phases; how to design individual strength training sessions; the periodisation of strength training for speed development. People and Institutions of Note. 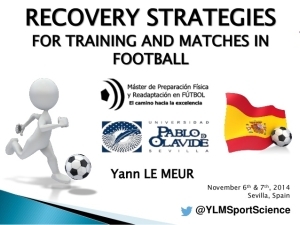 Yann is a sport scientist at the research department of the National Institute of Sport, Expertise and Performance in Paris (France). He earned a Ph.D in Physiology of Exercise in 2010 by working on exercise physiology and performance analysis (University of Nice-Sophia Antipolis). His main research interests focus on training monitoring, overreaching/overtraining understanding and recovery. He is actually working with several French teams for Rio 2016 Olympic Games including triathlon, cross-country mountain bike, swimming and rugby 7’s. He’s also involved in non Olympic sports / teams as consultant (i.e. Rugby & Soccer). His info-graphics have become legendary worldwide for the way he manages to display months and years of research and complex information in an easy to understand and follow format. His twitter posts are always an excellent read – @YLMSportScience . You can also access all of his info-graphics by clicking here . Dr Franklyn-Miller has worked as Team doctor to British Olympic Rowing, England Rugby, Melbourne Storm Rugby League and the New Zealand Black Ferns alongside work for UK Athletics, and whilst on Fellowship in Australia observed Sports Physicians working at the Australian Open Tennis and World Swimming Championships alongside a variety of AFL teams. He has appeared on the BBC Breakfast sofa and Radio 5 live on numerous occasions discussing athlete prepartion, injury prevention and injuries to leading athletes and a regular contributor to the BJSM podcast programme. Current reseach interests include: the biomechanics of groin pain, the expedited return to sport following groin injury, exertional lower limb pain and running re-education. Professional interests include sport injury, unexplained underperformance in athletes, chronic groin pain, lower limb overuse injury, and the management of high performance load and recovery alongside the biomechanics of running for performance. You can access his website and signup for his weekly emailed Sports Medicine Updates by clicking here . 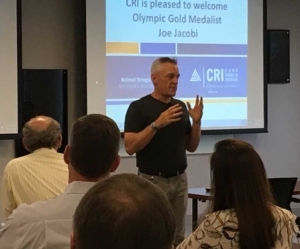 Joe Jacobi is an Olympic gold medal winning athlete, previous CEO of USA Canoe/Kayak, NBC Commentator, a motivational speaker and a good friend of Ranell and Kip. He is a truly genuine and inspirational man with a world-wide following. His Sunday Morning Joe (a free weekly newsletter) is always an excellent read and well worth you subscription (its free so just sign up via his webpage below). He is someone who has attained the absolute pinnacle of his chosen sport and then had to deal with the highs of lows of post competition and recovery. He now spends his time sharing his path to help athletes cope with the unique stress of high level competition. His website is https://joejacobi.com/ where you can sign up for SMJ. “I figured out by age 10 that the sport of kayaking was my path forward. A challenging activity I enjoyed with my friends that transported me to off-the-grid destinations that counter-balanced my suburban Washington, D.C. upbringing. By 16, I was competing internationally. By 18, I stood on a World Cup podium. At 22, with my canoe partner, Scott Strausbaugh, I won America’s first ever Olympic Gold Medal in Whitewater Canoe Slalom. My trajectory within the sport carried me to more Olympic Games – first, as an athlete, and next, as NBC televisions’s color commentator for competitive canoeing. Then I landed my dream job – CEO of USA Canoe/Kayak, the sport’s Olympic and Paralympic governing body that supports America’s best competitive paddlers. In the process of supporting athletes, coaches, sponsors, committees, events, and volunteers, I forgot how to support myself. I gained weight, clung to stress, formed poor habits, and disconnected with the very elements that I believed were my “super powers” going into the job. After frustrating bouts with goal-setting and “thinking big,” I went the opposite direction. I started with Small Steps Forward Every Day, focusing on small incremental self-investments that I repeated daily. Slowly, I experienced positive change that continues to progress in ways I could not have imagined. Strength of Science is a resource which was set up in response to an ever increasing work time demand being put on strength and conditioning coaches and sports scientists, coupled with ever decreasing CPD budgets and sharing of practice among practitioners. Through written articles, podcasts, interactive webinars and live Q&A’s, Strength of Science may not be able to replace attending a live conference or seminar but from the comfort of your own home (or car…) you can hear, see and read from the best in the business. It was created to provide world class information on all aspects of sports performance. Through the podcast and blog you will hear the views of Rob as well as world leading strength & conditioning coaches, technical coaches, physiotherapists, nutritionists and psychologists. 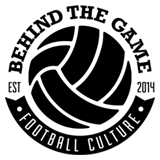 Some of his guests have included Darren Burgess (ex Liverpool FC now Port Adelaide AFL), Brett Bartholomew (EXOS), Alex Natera (Aspire Academy Qatar) and Dave Tenney (Seattle Sounders FC) amongst many others of extraordinary experience. 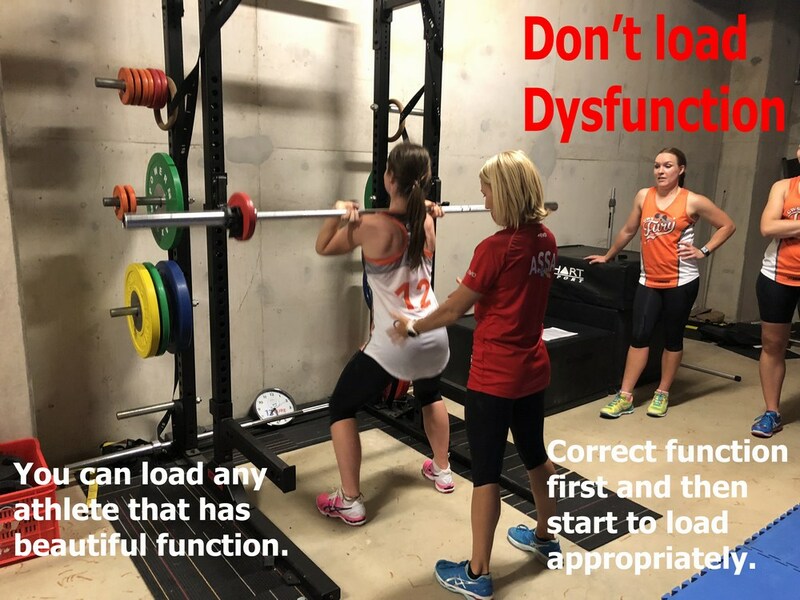 The Australian Strength and Conditioning Association (ASCA) is an incorporated non-profit organisation and is the peak national body for strength and conditioning (S&C) professionals in Australia. 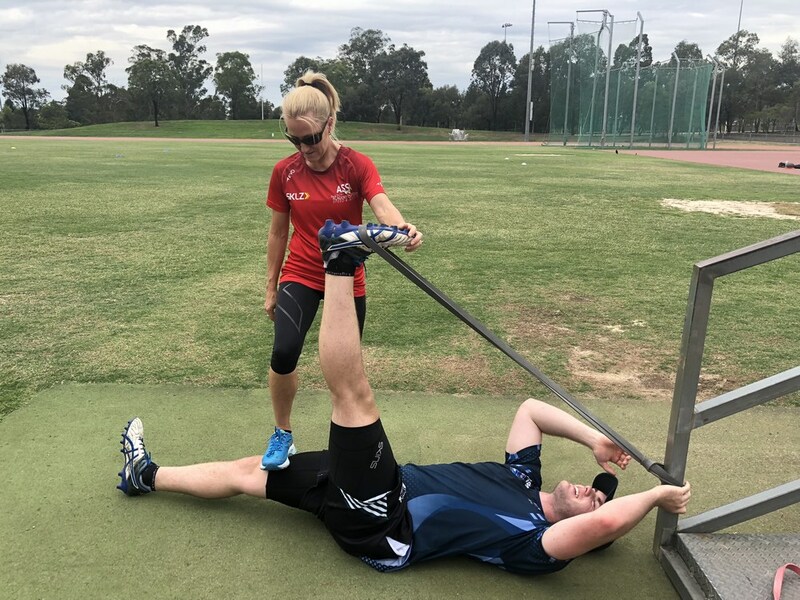 As the peak industry body, the ASCA aims to ensure and enhance quality-assured strength and conditioning coaches for sports and the sporting community. 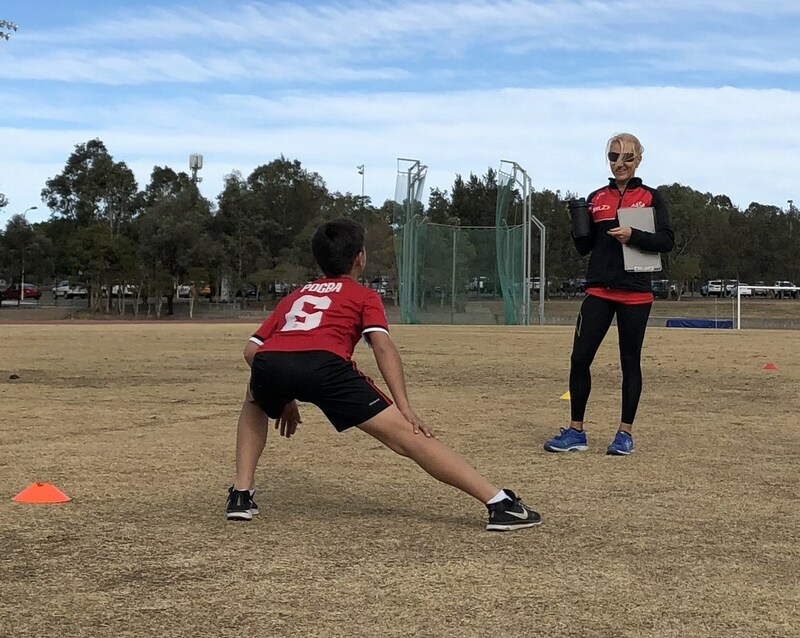 The ASCA provides a variety of coaching programs for all levels of coaches – these programs are registered with the National Coaching Accreditation Scheme, which is administered by the Australian Sports Commission. These accredited programs identify individuals who possess the knowledge and skill to design, implement and review safe and effective S&C training programs for individuals and team sport athletes. 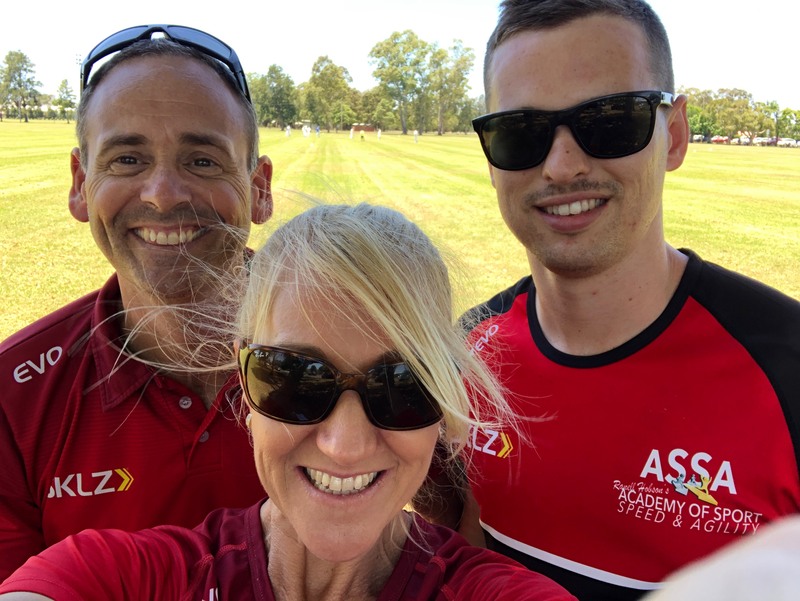 In addition to this the ASCA provides high-level professional support, development and research opportunities while continuing to enhance education for S&C Coaches. Products We Use By Choice. The Gen-Tec Australia website with information about their products and sample training programs can be accessed by clicking here. This is the post workout recovery supplement that Ranell uses and has found it to be the best she has ever had. You will always find this mixture in her workout bag. After much discussion with the founder of Gen-Tec Nick Jones regarding suitability for sports teams usage, she can now wholeheartedly recommend it as worthy of your attention. 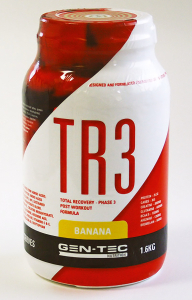 GEN-TEC NUTRITION’S “TR3” (Total Recovery Phase 3) is an advanced Post Workout Recovery Formula designed for bodybuilders, fitness competitors and strength training athlete’s with a goal of improved recovery, increased strength and lean muscle mass. PROTEINS: TR3 contains the worlds fastest digesting proteins of Free Form Amino Acids, Di and Tri Peptide’s (hydrolised WPI) and WPI for a fast and direct replenishment of the body’s amino acid pool to create a Positive Nitrogen Balance. Ranell also uses the Myo-Insure as a morning activation drink – Information sheet is here :MYO_Insure . 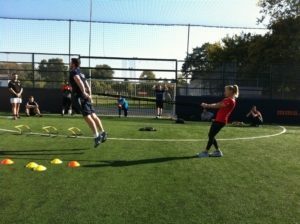 Visit www.SKLZ.com.au for all of your speed and agility equipment needs. We use SKLZ equipment for all of our practical sessions in courses or when training in the Academy. We have found this equipment to be without flaw and more than equal to the demands that Ranell’s programs place upon them. 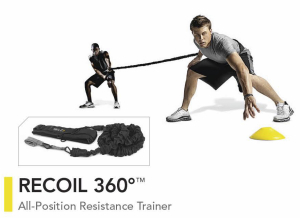 Whether foam-rolling before or after a session, creating resistance through use of their Recoil 360 bungee, or challenging the athletes with drills involving the mini-hurdles, SKLZ equipment has always performed at the highest level. “SKLZ offers a wide selection of training equipment and programs to hone and fine-tune your athletic training for any sport. We offer performance training equipment specially designed to increase your speed, vertical jump, strength, agility, flexibility and increase your responsiveness. As well many products will support your muscle maintenance program and help to work on your soft tissue.